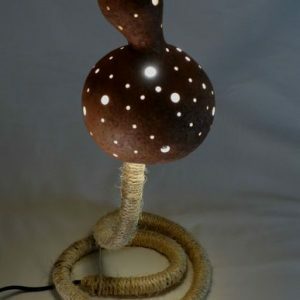 A rustic wall lamp made with tree bark and gourd. 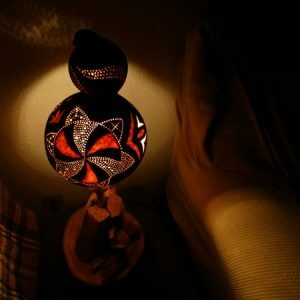 If you are looking for a unique, natural and ecological decoration, these wall lamps are perfect. Decorate your bar, restaurant or your home in a rustic and natural way with these rustic lamps made with natural elements. 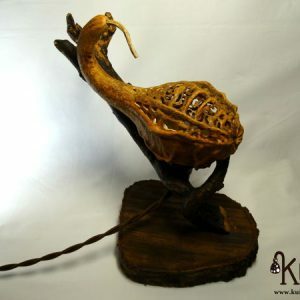 A gourd shaped like a horn, adapted to a base for the wall composed of a wooden bark of a tree, fixed with a hemp rope. It only uses materials of nature for its creation. 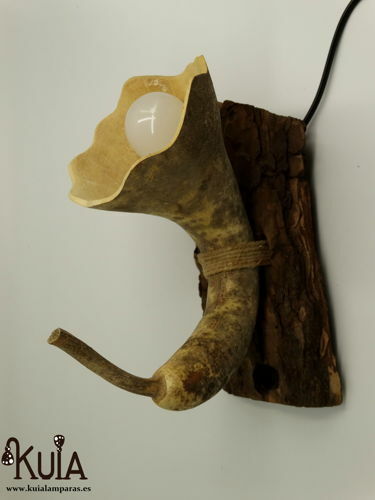 If you are looking for a unique and natural decoration, with this wall lamp you will achieve it, its simplicity and the elegance that make them exceptional to decorate bars and restaurants where rustic and natural decoration are present.